Groundwork Denver provides energy efficiency services, weatherization upgrades, and resident education for residential units. We have worked in the City and County Denver and Commerce City. 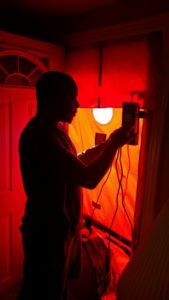 Our energy advisers provide home energy assessments, called Energy Audits, which work with residents to identify and prioritize potential energy improvements. An Energy Audit can save from $50 a year for simple changes like installing compact fluorescent bulbs (CFLs), to $350 for bigger changes like attic insulation. Our Energy Auditors inspect major energy uses and insulation levels, install low-cost upgrades, and conduct blower-door-directed air sealing. Depending on the needs of the particular house, the auditors will potentially install a programmable thermostat, low-flow shower head, weather-stripping, duct sealant and more! The best part is, we do all of this for FREE! If a family is in need of additional services outside of what we provide within our Energy Audit and is related to energy efficiency, Groundwork makes an effort to refer these families to other trusted organizations. 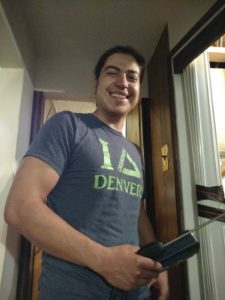 Groundwork Denver also educates families about the benefits of energy conservation and the steps necessary to achieve these benefits. Specific educational topics include suggested thermostat settings; cold-water laundering and line drying; use, handling and recycling of CFLs; shutting off electronics at power strips; turning off lights and electronics when not in use; and use of a dishwasher instead of hand washing.